LONG ISLAND, New York (WABC) -- Beach erosion was a big concern for coastal areas of Long Island during the nor'easter storm that moved through the Northeast Tuesday. Town officials across Long Island implemented preventive measures to minimize the damage -- and their work appeared to pay off. 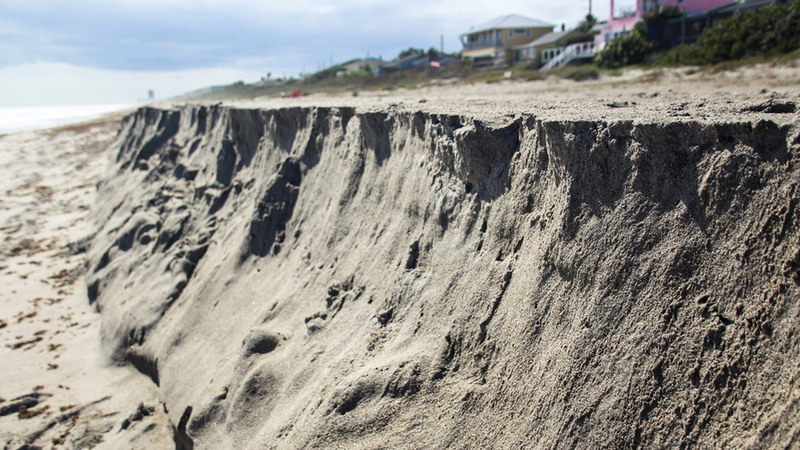 Officials performed and assessment Wednesday morning to see how much erosion occurred. No significant oceanfront erosion. Sections of beachfront has flooding. Minor erosion on Bay Side of park. No damage to theater. Minor debris on Zach's Bay sea wall and boat basin bulkhead. Robert Moses suffered moderate erosion along the entire length of the oceanfront. Captree has erosion on the east side of the lot almost to the lot in the south east corner. Erosion appears to minimal on the shoreline. Any beach flooding from yesterday has receded. Erosion at west beach and field 7. Estimating total loss of approximately 700 cubic yards of sand from the two beach fronts. Overlook beach has some coastal flooding. Flooding damage under the bathhouse and damage to the stairs going up onto the deck along with erosion to the beach access and beach. The flooding has subsided without damage. Erosion along 1 1/2 miles of Gardiners Bay Shoreline along the Orient Beach Entrance Drive. Beach area flooded into coastal pond areas behind it. Beach front flooded, loss 5 to 15 feet of dune face at various locations.